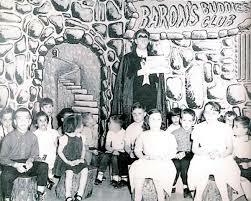 When I was growing up we had a local tv program here in Syracuse, NY called The Baron and His Buddies, which aired from 1963 until 1967. 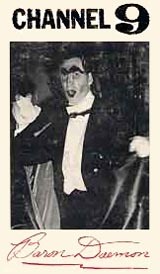 It starred Mike Price as a vampire named Baron Daemon and his fans were nicknamed his “Bloody Buddies”. 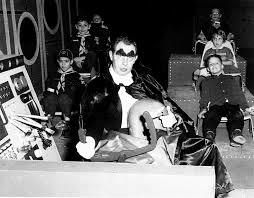 The Baron originated as a Saturday night horror movie host but the character proved to be so popular with children that the Baron was given a daily program so parents didn’t have to let their kids stay up late to see him. The show featured the Baron and his sidekicks Very Hairy (Dennis Calkins) and Boris (the late Bill Eadie)….in between comedy bits there would be cartoons or a serial such as Flash Gordon. Now for the treat. 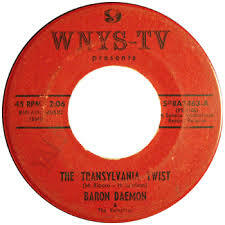 Somebody at WNYS decided that the Baron should record a novelty song, The Transylvania Twist, which featured local recording artists Sam and the Twisters and the Bigtree sisters. (Both acts were collectively billed as “The Vampires” for the record.) A wonderful piece about how the record came to be can be found here. 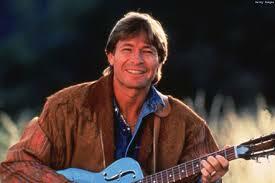 John Denver was and still is my favorite singer….it is hard to believe that it has been 17 years now since he died in that plane crash off the coast of Monterey, California. However, I choose to remember him not with sadness, but with a celebration of his career. 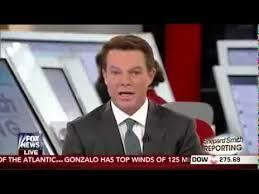 In doing so, I thought that I would share a few video clips that I’ve enjoyed over the years. This article made me kinda sad….for the first time in over 50 years there are no Saturday morning cartoons airing on any of the broadcast networks. Saturday morning American broadcast TV was once animation’s home field. Filling a cereal bowl with artificially colored sugar pebbles and staring at the tube was every kid’s weekend plan. Not any more: For the first time in 50-plus years, you won’t find a block of animation on broadcast this morning. It’s the end of an era. Yes, The CW, the final holdout in Saturday morning animation, ran its last batch of Vortexx cartoons last weekend. This week, where you once saw shows like Cubix, Sonic X, Dragon Ball Z and Kai, Digimon Fusion, and Yu-Gi-Oh!, you’ll instead find “One Magnificent Morning,” a block of live-action educational programming. It’s the end of an era, but it’s been a long time coming: NBC ditched Saturday morning cartoons in 1992, CBS followed suit not long after, and ABC lost its animated weekend mornings in 2004. The CW, a lower-tier broadcast network, was the last holdout in a game that the Big 3 left long ago. I know that there are classic cartoons running on cable networks, not to mention the fact that kids and/or their parents can pop in a DVD….but it’s just not the same as parking yourself in front of the tv set with a bowl of cereal on a Saturday morning and waiting for some of the following classic cartoon openings. 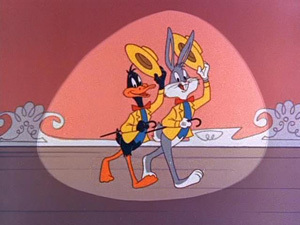 This was my all-time favorite – The Bugs Bunny-Roadrunner Show. This begins with something that kids today know nothing about: the CBS network “tone” that was heard before the beginning of every program. 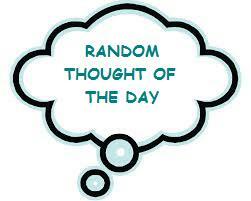 Here’s a few more Saturday morning favorites…. There are so many more that I could have included – maybe I’ll do a follow-up someday – but for now….